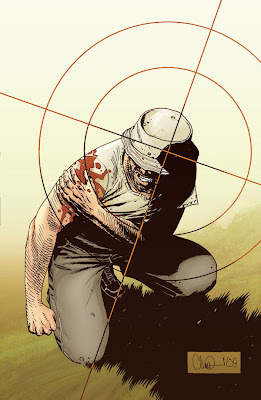 Well.........this puts a bit more meat around the bones of what happened at the end of issue 62....so the Hunters are going to keep Dale alive for a while yet. Though he may rather be dead after a few hours with those sadists. Grim. Bad news for Dale, probably good news for the reader, as this looks really tasty. Wonder who the Hunters are going to get in the meantime?